A peptide-graphene oxide nanosensor has been developed to detect tobacco etch virus (TEV) protease and bacteria infected with an engineered bacteriophage. 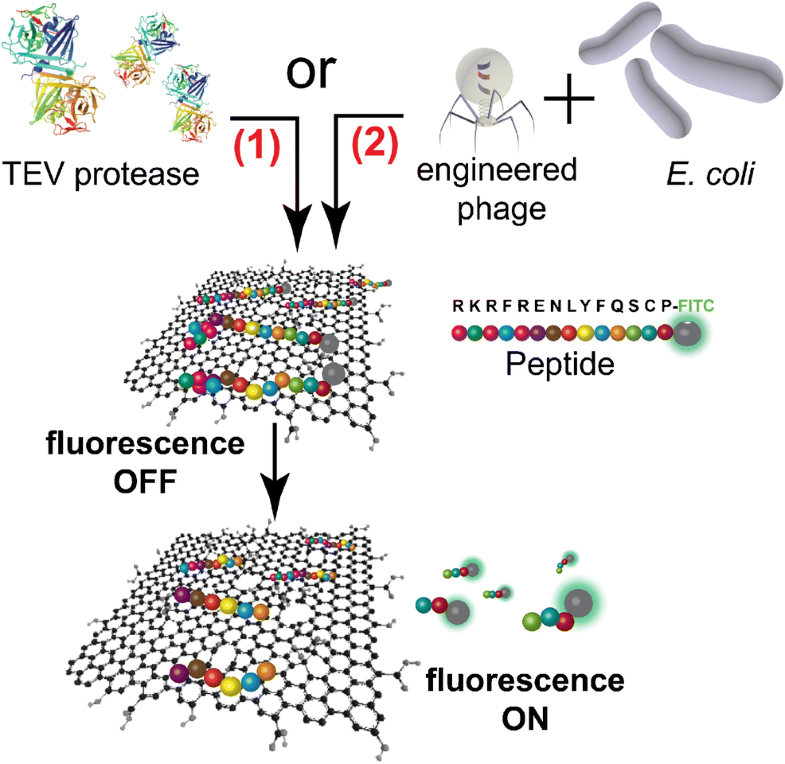 In the detection strategy, a peptide (sequence: RKRFRENLYFQSCP) is tagged with fluorophores and graphene oxide (GO) is used to adsorb the peptides while quenching their fluorescence. In the presence of TEV protease, fluoropeptides are cleaved between glutamine (Q) and serine (S), resulting in the recovery of fluorescence signal. Based on the fluorescent intensity, the detection limit of TEV protease is 51 ng/μL. Additionally, we have utilized the sensing system to detect bacteria cells. Bacteriophages, which were engineered to carry TEV protease genes, were used to infect target bacteria (Escherichia coli) resulting in the translation and release of the protease. This allowed the estimation of bacteria at the concentration of 104 CFU/mL. 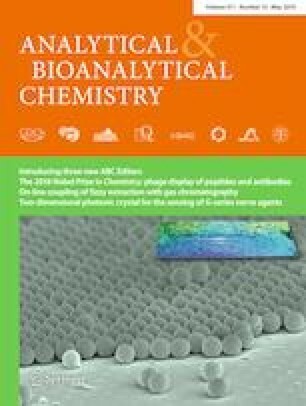 This strategy has the potential to be developed as a multiplex detection platform of multiple bacterial species. The authors would like to acknowledge the National Science Foundation (1705797). Additionally, this material is based upon work that is supported by the National Institute of Food and Agriculture, U.S. Department of Agriculture, Hatch under 1013507.